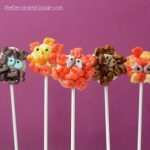 Fuzzy chocolate monsters pops for a cute Halloween treat! I don’t know at what point we, as a collective imagination, decided monsters needed to be fuzzy. Oh wait, yes I do. Good call, Jim. 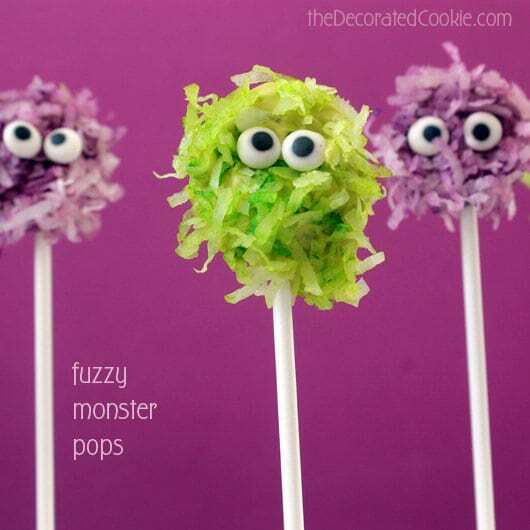 The fuzzy part makes monsters decidedly less scary and infinitely more cute. 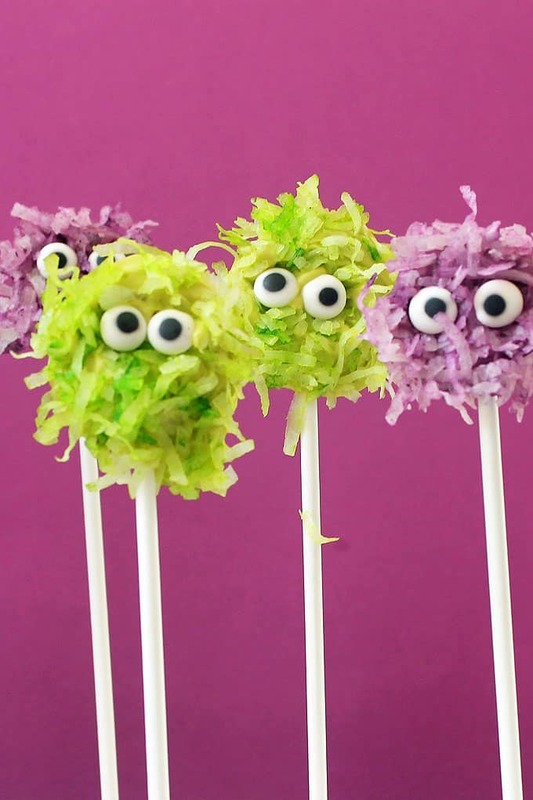 Coconut is the fuzz in these fuzzy chocolate monsters pops. And boy, are they scary, huh? 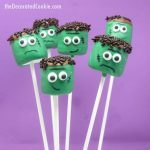 If you like this easy Halloween treat idea, be sure to check out these monster cookie sticks or monster lollipops. 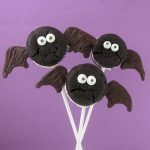 *Find the candy melts, disposable decorating bags, lollipop sticks and candy eyes in the craft store, or, see links below. For food coloring, I suggest the Electric Green and Electric Purple Americolor Soft Gel Pastes (links below). Pour some shredded coconut in a Ziploc bag. 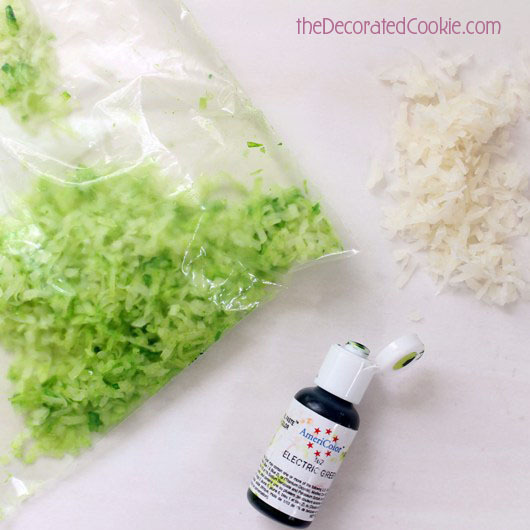 Add a drop or two of food coloring and mix like crazy until the coconut is a uniform color. Set aside. Line baking trays with wax paper and set aside. 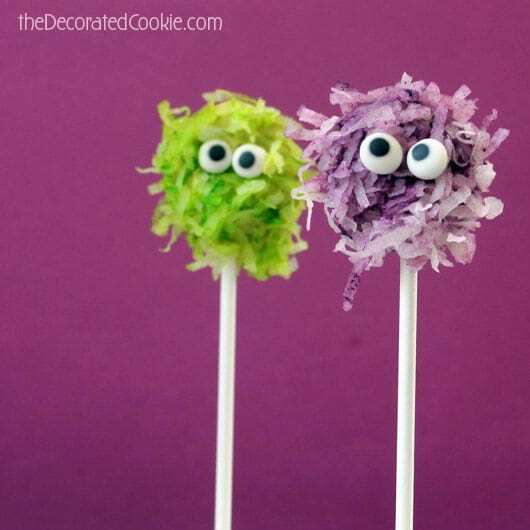 Place 1/2 cup to 1 cup of candy melts in a disposable decorating bag. Microwave at 70 percent power for 90 seconds. Massage and continue at 15 to 30 second intervals until the melts are fully melted. Snip 1/2 inch from the tip of the decorating bag. 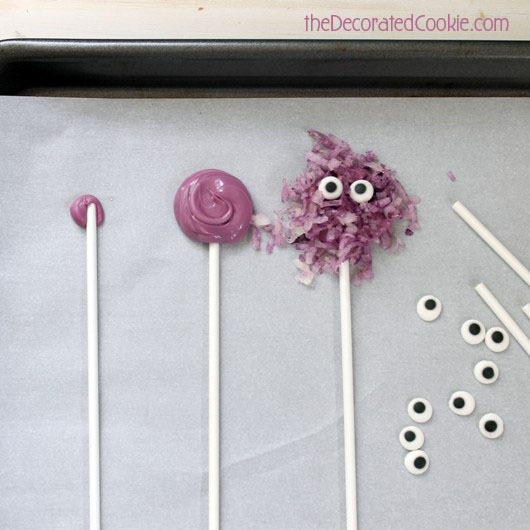 Pipe a dot, place a lollipop stick on top and pipe a larger circle on top. 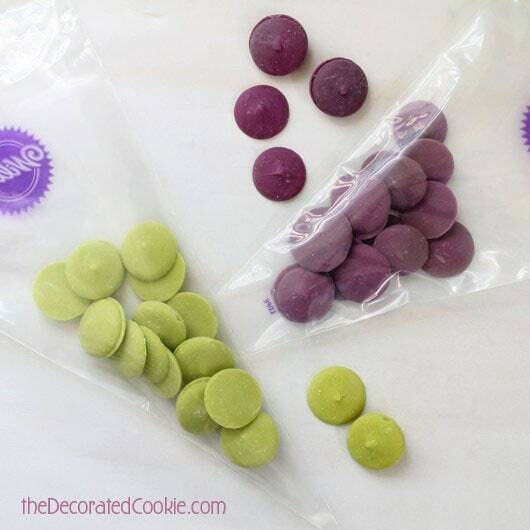 Sprinkle coconut over the circle in a coordinating color. Press two candy eyes on top. 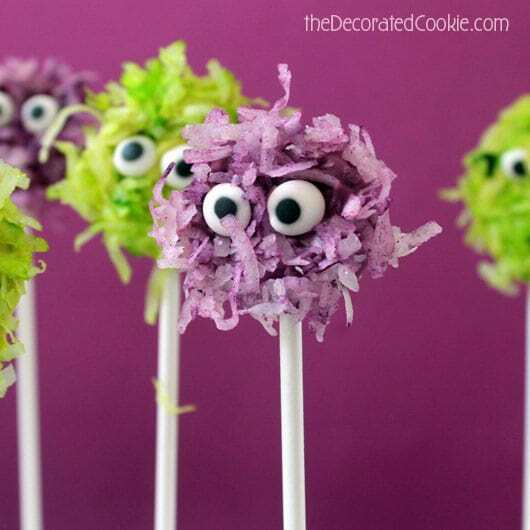 Jam the eyes in, if you can, so they stick to the candy below the coconut. 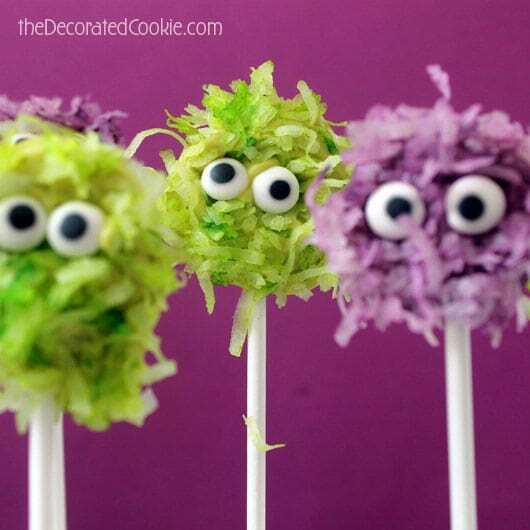 If needed, add another dab of candy melts on top of the coconut so the eyes stick. TIP: Be sure to do one pop at a time, as candy melts harden quickly. Let the tray sit for about an hour. Lift the pop off the tray and gently shake off any excess coconut. Are you supposed to eat these or cuddle with them? Adorable!! If you would like to display a featured button on your site, you can grab one from the right side bar of your post above. We’d love it if you would submit any other kid-friendly projects you have. Thanks for a great project idea! Oh I love these!! 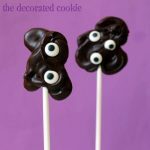 Something super simple I can actually do with my kids! 😂 Yay! They’re going to love these.